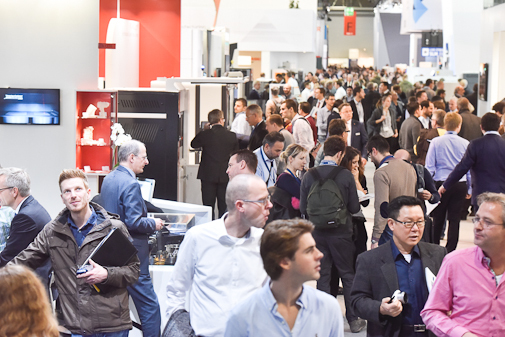 This year the 3rd annual formnext will take place from November 14th – 17th in Frankfurt. The most important additive manufacturing exhibition, it is the must attend event for anyone in the AM sector. At formnext, the industry’s most innovative players meet to share ideas, present their latest developments, and connect with partners from around the world. 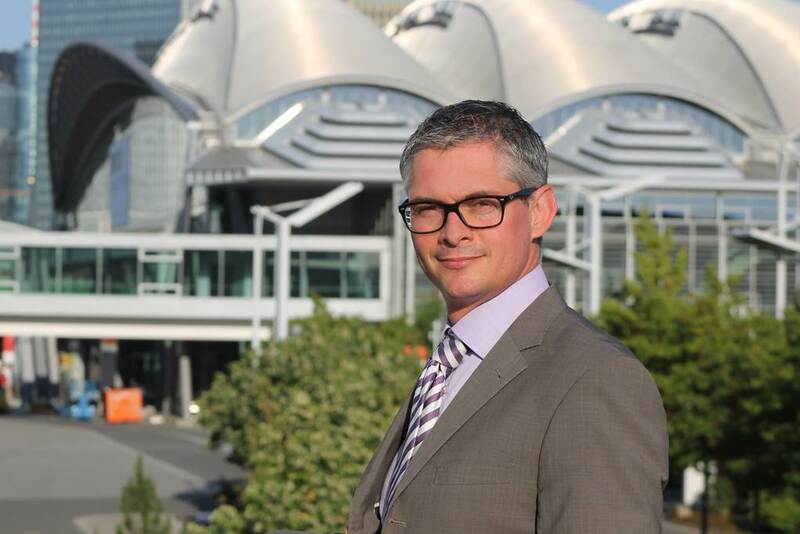 We spoke with Sascha Wenzler, Vice President about how the industry is evolving and what the future of AM will look like. 1. What are the next trends you expect to see in the 3D printing market within the next few years? We are already seeing exciting developments in many sectors: when it comes to 3D printers / 3D printing equipment, there is a constant improvement to existing processes, as well as the introduction of new technologies from companies like Desktop Metal, HP, or XJET. Both the machines and the processes are becoming more efficient on the whole, consequently the product diversity and complexity that is possible has also increased. Developments in material will remain a driving force. When it comes to metal, we expect to see a continued dynamism that promises exciting new possibilities. Similarly, there will continue to be discoveries in plastics that continually expand the potential field of applications for these materials. 2. 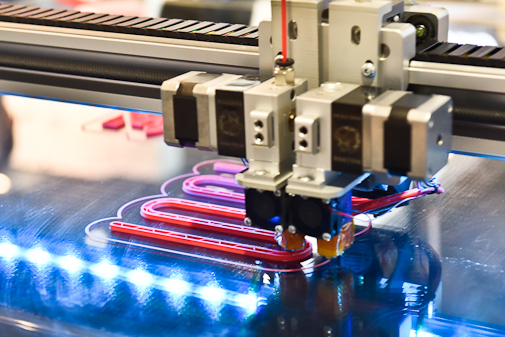 Which industries do you think will be most impacted by 3D printing in the next 5 – 10 years? What is so exciting is the diversity in the areas AM technology can be applied, and with regards to exploring these applications we are still at the beginning: from sneakers to dental crowns, from jewelry to rocket engines. Through the exhibitors at formnext, we are always experiencing new developments, for example in the automotive or aerospace industries. But, there are exciting innovations in practically every branch: med tech, consumer products, tools, mould construction, or mechanical engineering to name just a few. 3. What do you consider as the main drivers of 3D printing? The basis for further developments are innovations in all of the AM building blocks: hardware, software, materials, and post-processing, as well as identifying suitable parts for AM production and the integration of these technologies in existing production processes. A deciding factor in encouraging the adoption of AM technology will be anchoring the exceptional potential of AM in the minds of users, designers, engineers, and decision makers. 4. What role do you think customization and product configuration will play in future AM business models? Customization, or more specifically mass customization, and additive manufacturing complement each other perfectly. There are already countless interesting approaches. 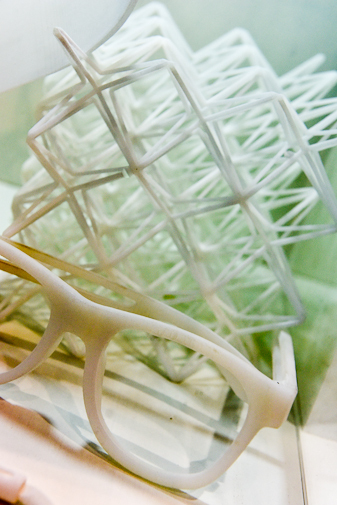 In the fashion industry, the possibilities for glasses frames, shoes, as well as orthotics. The beginnings can also be seen in the food industry, as well as others. We are experiencing an enormous amount of creativity and a huge proliferation of ideas. Perhaps the most interesting effect of customization on business is that in contrast to current models, the consumer does not enter the value chain at the end, but rather at the beginning. Consumers are then able themselves to determine how a product should look and feel. It will be very interesting to see, where and to what extent companies and consumers are willing to explore these new models. 5. What do you think are some of the most significant challenges for companies looking to integrate 3D printing into their production processes? The challenges can be completely different depending on the company and application. Up to this point, designs and processes have been optimized for conventional production methods and software models (milling, turning, casting, injection moulding, etc.). The use of AM starts in the design and construction phase, which means that before anything else can happen a company needs to acquire the necessary know-how. Naturally, processes like quality assurance and certification also take time and present a bit of a challenge. 6. What developments in hardware or software do you think are necessary in order to make 3D printing possible for serial production? In regards to certain applications, AM in serial production has already established itself, for example in the manufacture of glasses frames or airplane components. In these cases, the production volumes have already reached several thousand. These volumes will only increase as the machines and processes become more efficient. However, I do not see the goal of development in AM technology to necessarily be the production of many, identical parts, because in this case the true potential of AM would not really be harnessed. What is far more interesting is using AM in the right places to introduce more intelligent processes into existing production methods. 7. How will AM affect supply chains and what effects might this have for entire industries? In the industrial context, there is a general trend towards small batch sizes with significantly higher product diversity. For this reason alone, AM will continue to grow in importance. Furthermore, with AM manufacturing will become far more demand-oriented. Here I see considerable potential for the production of single components. 8. How does formnext contribute to the AM revolution? Formnext is the most important exhibition in Europe for the AM industry as well as all industries applying this technology. At formnext the world-wide elite of additive manufacturing gathers to present their latest innovations and solutions for modern production processes. At the same time, formnext brings together these innovative companies with users and decision makers from all over the world, enabling them to develop shared concepts, which often lead to lucrative business deals. In these ways, formnext is an important driver of innovation and simultaneously supports economic development within the branch. 9. How has formnext evolved in the past few years? What trends have you noticed in the needs and interests of attendees? This year will mark the 3rd annual formnext, and in this short time we can already point to a successful track record. Since the debut in 2015 we have grown considerably, and this year we are set to shatter all previous records. There will be more exhibitors, more attendees, and the fair itself has grown in size. The exhibitors at formnext represent an unparalleled density of innovations that is second to none. Visitors from around the world are not only experts in AM, but also represent the decision makers of their respective organizations. Most, if not all, come to formnext in Frankfurt with very specific questions – and they find their answers here. “Image 1” courtesy of formext. “Image 2” courtesy of formnext. “Image 3” courtesy of formnext. “Image 4” courtesy of formnext.